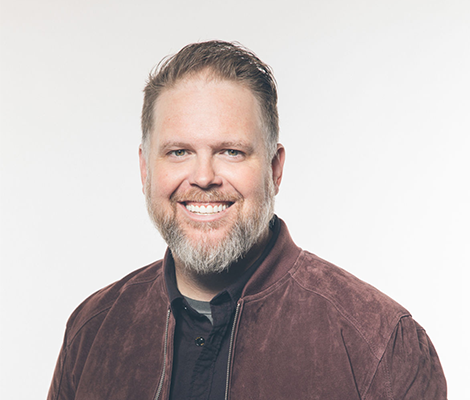 Christian artist and leader of MercyMe, Bart Millard, and music publisher Mark Nicholas, will visit Trevecca next week to share industry insight as well as the story behind the hit song and movie I Can Only Imagine. Scheduled for Dec. 4, the event is part the School of Music and Worship Arts’ ongoing Music City Colloquies series. Designed to give Trevecca students insight into the music industry, the series is now in its third year. Previous events have featured country star Hunter Hayes, Christian artist Lauren Daigle as well as singer-songwriter duo Jenny and Tyler and Christian artist/author Andrew Peterson, among others. John J. Thompson, associate dean of the School of Music and Worship Arts, facilitates the event series. A Dove Award-winning writer, Millard’s most famous song, “I Can Only Imagine” is the best-selling Christian single of all time and the only Christian song to be certified triple platinum by the RIAA. In early 2018, the true story behind the song—detailing Millard’s complicated relationship with his abusive father—became a record-breaking feature film. Starring Dennis Quaid, the movie garnered $83 million and became the third highest grossing music biopic of all time. During the event, Millard and Nicholas will examine the song through creative and administrative lenses, detailing how they worked to protect the song and set up their own publishing company, Simpleville Music, which now includes the entire MercyMe catalog in addition to the songs of other writers. The Music City Colloquy is scheduled from 11:30 a.m. to 1 p.m. on Tuesday, Dec. 4, in the Zelma Waggoner Performance Hall, located in the Jackson Center for Music and Worship Arts on Trevecca’s campus. Tickets are available to the public and cover the cost of a box lunch. Students can attend at no cost, but registration is required because space is limited. The event will also be livestreamed at streaming.trevecca.edu.